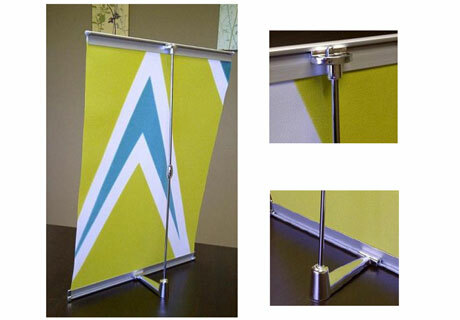 Folding tabletop 3-panel fabric display board. Black aluminium frames. 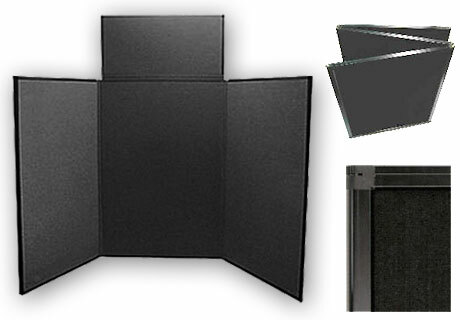 Folding Display comes with fabric panels. 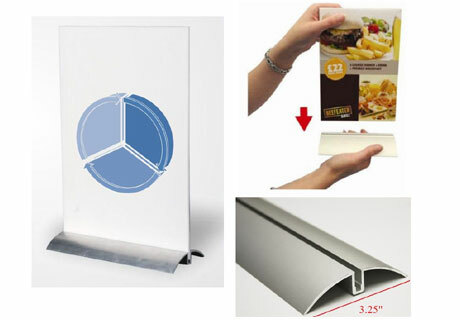 Plastic Posters (custom printed & mounted on Velcro) are sold separately, and done according to customer specification. This is a table top Roll-up Banner. Super effective marketing tool at an extra affortable price. Quick and simple assembly. Perfect for retail, POP, and trade show. The Banner is digitally printed on 10oz. Flame Retardant, re-inforced scrim satin smooth banner. 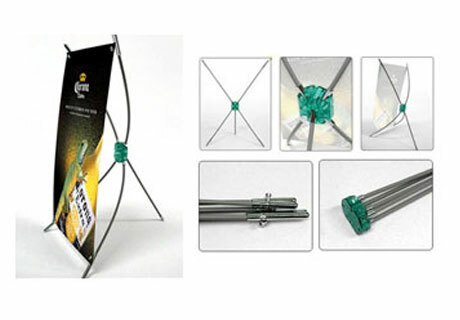 This is a table top X-stand Banner Display. 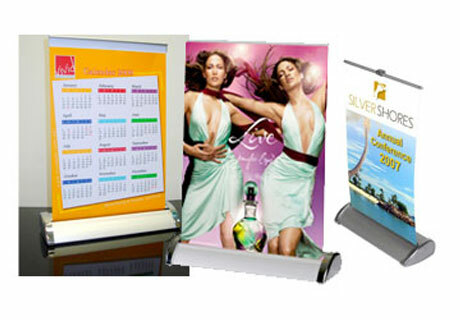 This is a table top L-stand Banner Display. Digitally printed single/sided graphics are done on 5mm GatorFoam Board or same thickness rigid material.